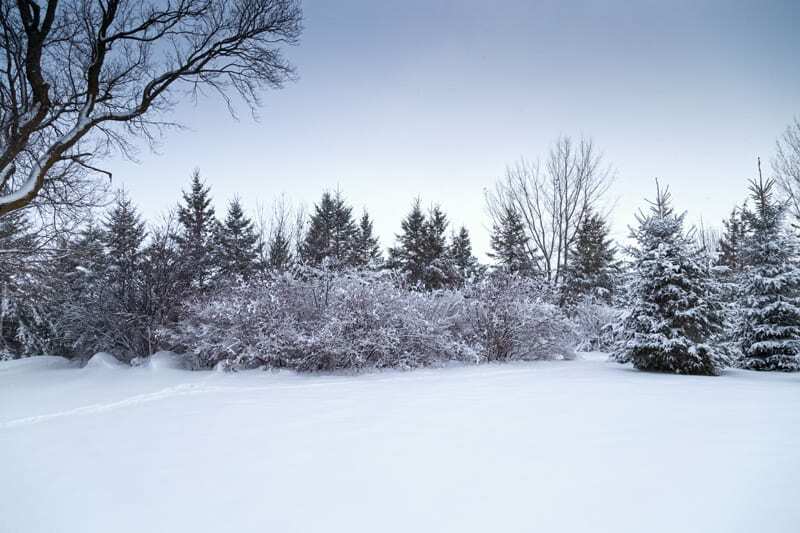 Frozen ground makes it harder for trees to get enough of the nutrients and water they need. You can help by pruning away diseased, dead, or dying parts of the tree. That way the tree won’t waste precious resources trying to keep doomed parts alive. It’s also a good idea to trim away parts that are susceptible to storm damage. A nice clean cut from a pruning saw is a lot less stressful to the tree than a jagged tear caused by high winds or heavy, wet snow and ice. A professional arborist can recognize structural weaknesses and know which limbs to remove and which to save with cabling or bracing. Fall is actually an ideal time to fertilize your trees as long as you use a low nitrogen fertilizer and time the application right. You don’t want to encourage a tree to produce tender new leaves just when it’s supposed to be going dormant! Fertilize in late fall – about a month after a killing freeze but before the ground is frozen. Fall fertilizer improves disease resistance and promotes stronger roots. Any extra nutrients are stored in the roots until needed for strong growth next spring. However, too much of any good thing can be more harmful than helpful. It’s always best to do a soil test first to see which nutrients (if any) your trees need. 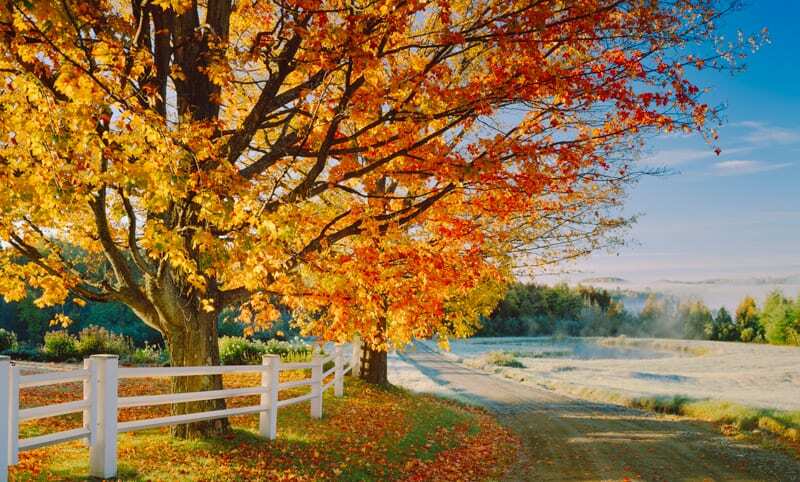 Trees need water all year long and that includes any time the ground isn’t frozen solid. Watering regularly until the ground is frozen will ensure your trees don’t go thirsty throughout the long winter to come. 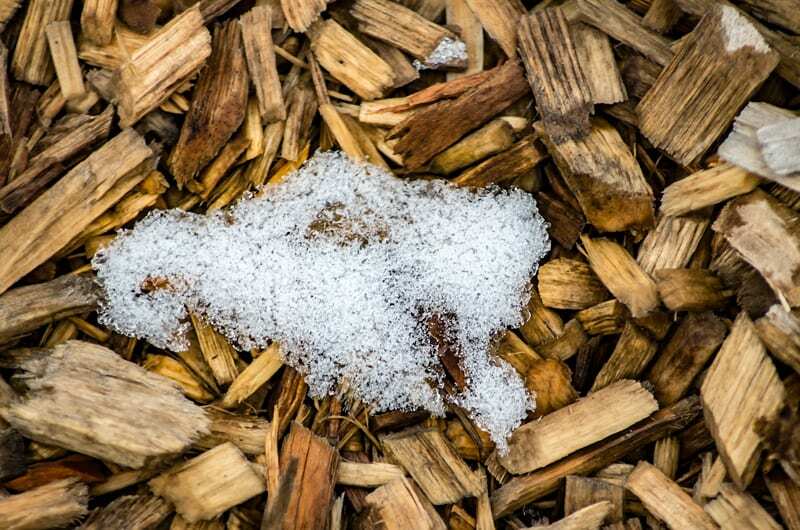 A layer of insulating mulch can moderate temperature changes in the soil. This means the soil stays warmer in the fall and doesn’t freeze as deeply in winter. Mulch also traps precipitation and keeps it available for the tree. Keep the mulch a few inches away from the trunk to allow your tree to breathe and prevent rodents from damaging your tree. They’re less likely to nibble on the bark if they’re exposed to predators while they’re at it! 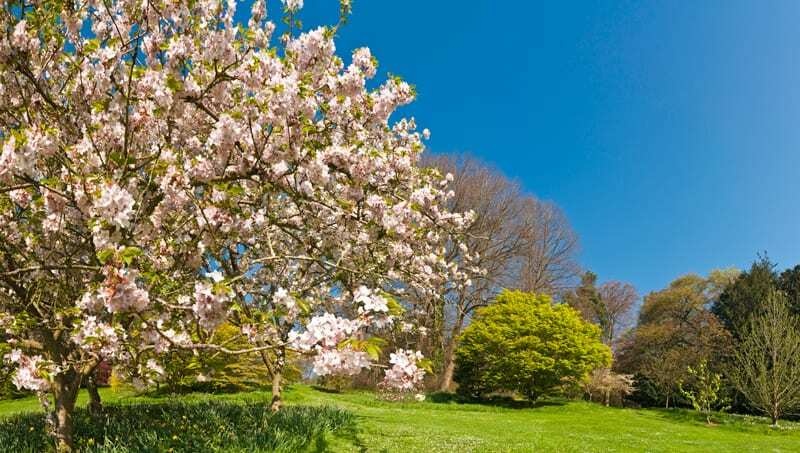 Which trees need a little extra care? 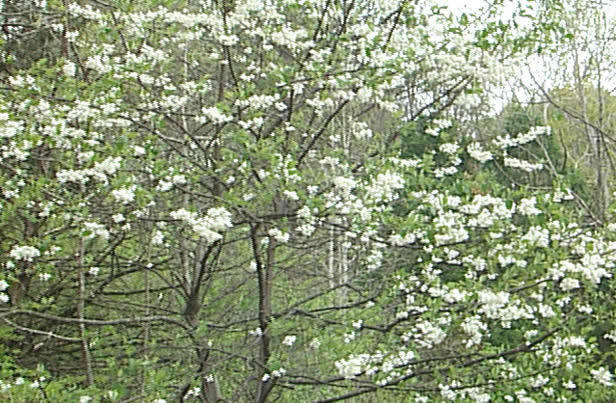 Trees native to North Jersey are generally hardy and well suited to the climate. Popular native trees include tough beauties like the dainty Silver Bell along with the mighty Red Oak. Trees that aren’t native may need a little extra pampering to make it through winter unscathed. Non-native plants in general need more water, fertilizer, pest control, pruning, and protection than native plants. 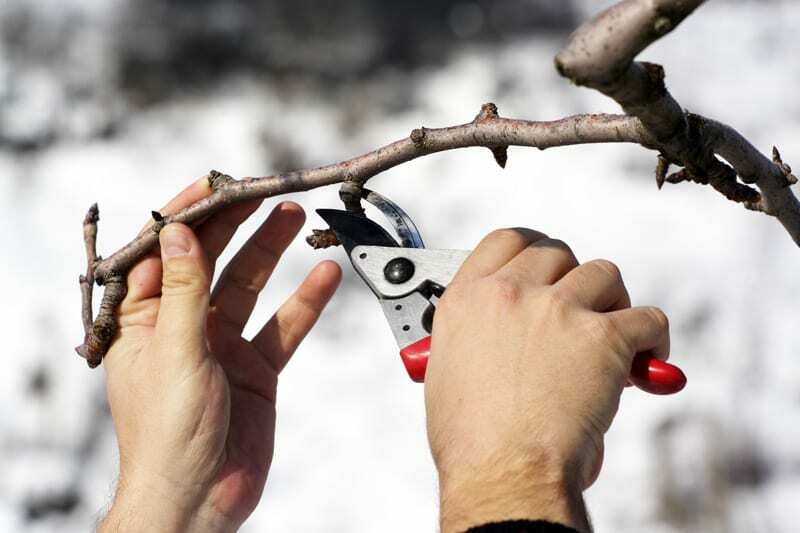 Trees with thin bark, like many fruit trees, and mature trees on the southwest part of your yard are particularly susceptible to frost cracking. This occurs when daytime and nighttime temperatures fluctuate drastically. Tree blankets can help prevent this damage or at least keep it from getting worse. Will all this effort pay off? Absolutely! The time and effort you spend now in preparing your trees for winter will pay off when they burst into healthy growth next Spring! Contact us for more information about preparing your trees for winter. We’re here to help with all your tree care needs!